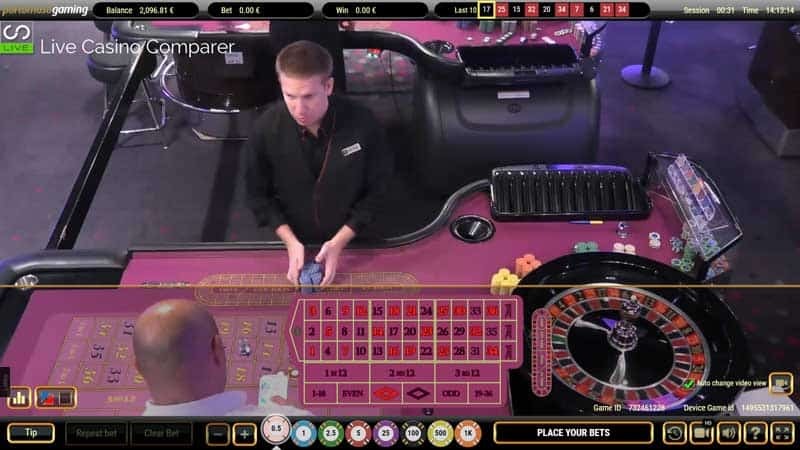 It’s difficult to know how to refer to this live casino solution. 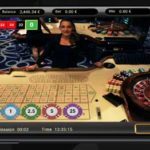 Is it the Wirex Live Casino solution or the Portomaso Gaming Solution? 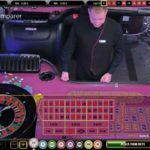 Portomaso Gaming are the solution provider, the company that you would deal with if you wanted their streamed live casino solutions. Wirex sit in the background. They are the developers, the ones that provide the technical capabilities, the software and player account management systems that are needed for the “solution”. Wirex is an Italian iGaming software development company that were founded in 2002. They develop a whole range of solutions for the Casino, Live Casino and the Sports Betting markets. 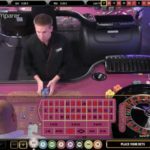 They’ve grown through through partnerships and it’s with Portomaso Gaming, that they have developed their very successful Live Casino solution. 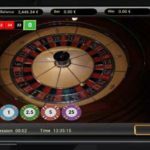 The solution brings together Wirex’s technical capabilities and Portomaso Gamings knowledge of Live Casino operations and games. 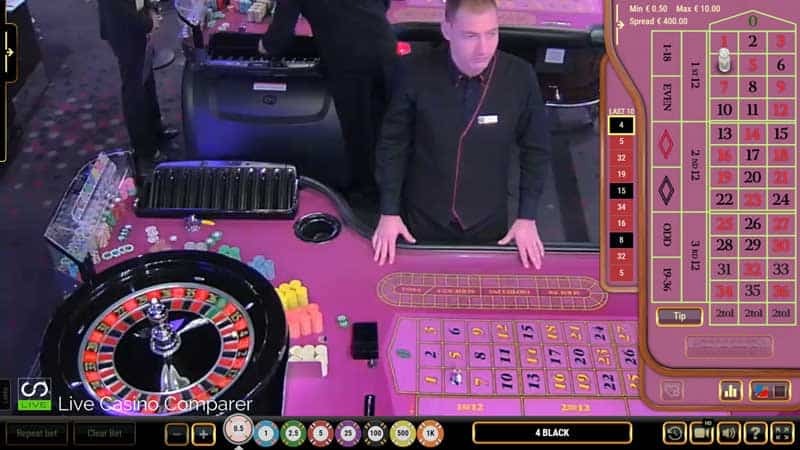 Between them, they have developed a range of live casino products that can either be hosted from the Portomaso or Oracle Land Based Casinos in Malta or set up at their customer’s premises. 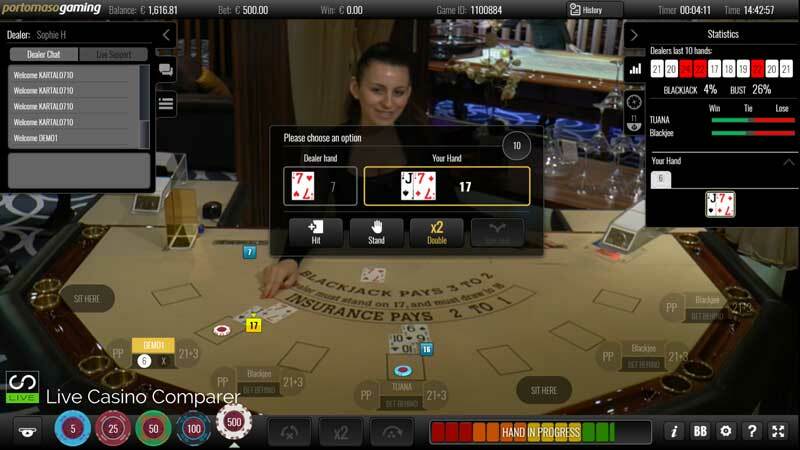 The live games offered by Portomaso Gaming are a mixture of two live streamed solutions. The first are games streamed from the Portomaso and Oracle land based casinos in Malta. 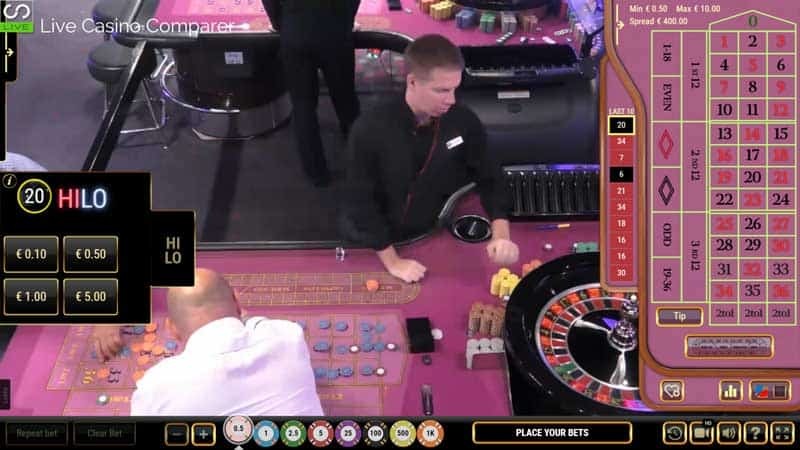 The second is Live Casino games streamed from a studio from within the Portomaso Casino. Each solution offers a different playing experience. 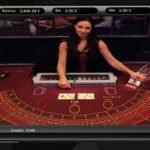 Live Roulette streamed from the casino floor at Portomaso & Oracle Casinos and also from a purpose built studio at the Portomaso Casino. 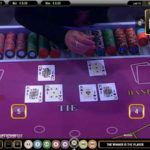 Live Baccarat (Punto Banco) streamed from the casino floors of the Portomaso and Oracle Casinos. 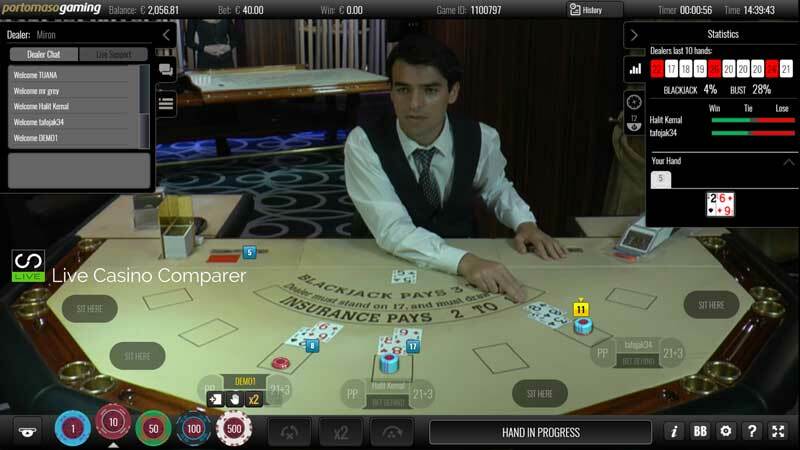 Live Blackjack streamed from a purpose built studio from within the Portomaso Casino. 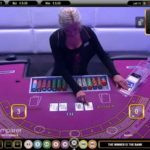 Whilst I reviewed a lot of casinos there are only a few that I’d recommend if you want to play the live streamed games from Portomaso Gaming. 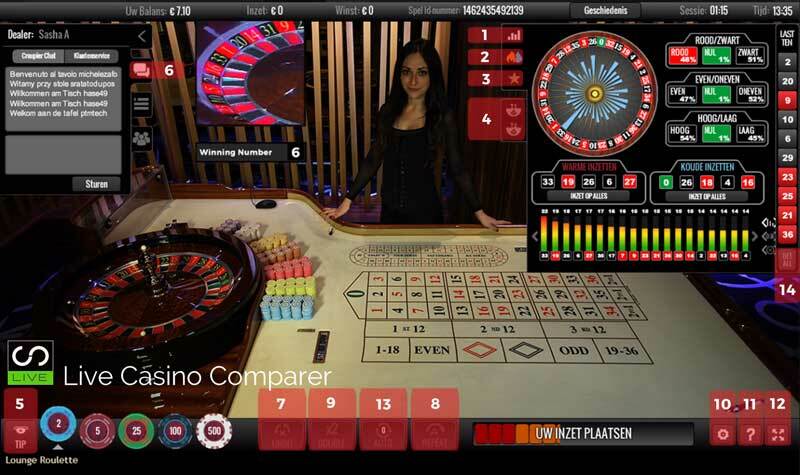 Roulette 1 – 250 None To see the latest Live Casino promotions. Click Here. 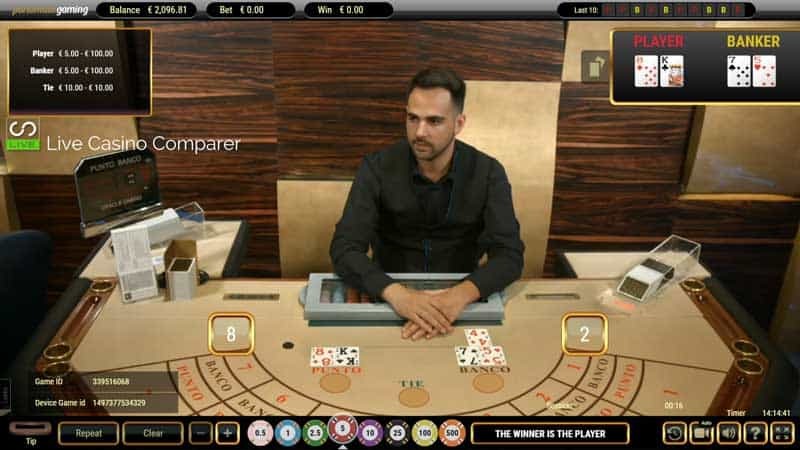 A little while ago I was able to play the tables games from Portomaso Gaming, but when the UK GC licensing was introduced the casino I played at chose not to take the license and withdrew from the market. At that time the streaming quality wasn’t the best, but the solution was good and you could see it’s potential. Now I’m back having a good look at how the products have been developed and I must say I’m impressed. The playing interfaces have been re-written in HTML5, which means that you can play the games on PC’s, Mobiles & Tablets. The streaming quality is very good. 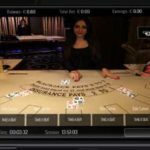 The multi camera’s at the tables give you close ups so you don’t have to depend on the computer to tell you the result. 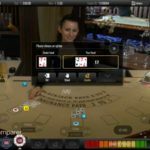 Of the two streamed solutions, I prefer the one from the Oracle Casino and that’s only because of the cream coloured tables they use. The imagery is clearer and it’s easier to make out what’s on the tables. Computer generated images are not the same. When I’m playing live casino games I like to see what’s on the table. The studio solutions are also very good. There’s only two Blackjack tables so I imagine that they might get quite busy. Bet Behind can be played when the table is full. I’m not so keen on playing like that, but it’s there if you need it. They also have the complete range of Blackjack side bets, 21+3 and perfect Pairs. I was disappointed to find that there are no auto generated Baccarat Roadmaps. The last 10 results are displayed on the table, but that’s not enough for the die hard fan of Baccarat. Perhaps this is a development opportunity for them. 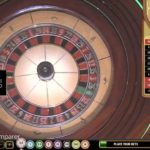 If you’re interested I’ve listed all the games and types of Live Roulette below. As far as I know Portomaso Gaming are the only provider to offer the Hilo side bet on roulette. This is a seven seat table that’s located in the Oracle Casino. Due to the table colour, Cream, it’s much easier than the Portomaso table, to see the cards that have been dealt. The game is played with 8 decks from a clear perspex dealing shoe. An unlimited number of online players can play this version. The deck/shoe is changed when about 1/4 of the shoe remains. Player wins are paid at even money. Banker wins are paid at 0.95:1 or 19/20, which is how the house makes its edge. There are no side bets or roadmaps. The only meaningful statistics are the results of the last 10 game rounds. Can be played on PC and Mobile devices. 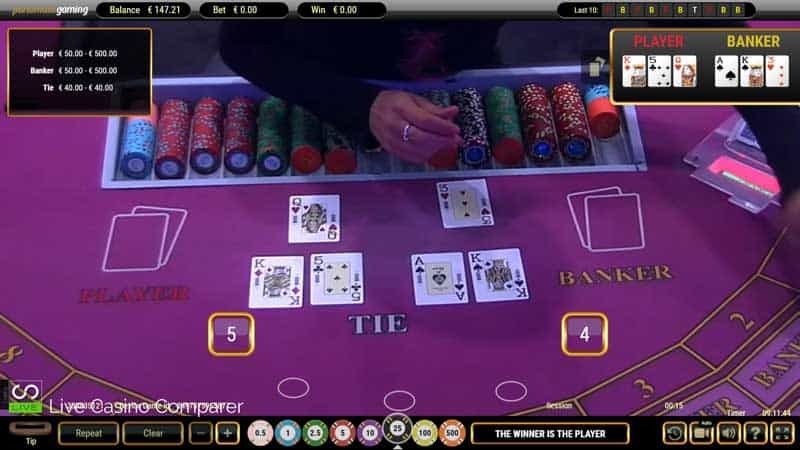 Otherwise known as Baccarat this table game is located at the Portomaso Casino. It’s played with 8 decks of cards that are shuffled approximately 3/4 the way through the shoe. The cards are dealt by a Live Dealer from a clear perspex dealing shoe. Player wins are paid at 1:1. Dealer bets are paid at 19/20. Ties are paid at 8:1. The table has 9 seats in the casino, but an unlimited number of players can play online. There are no Baccarat Roadmaps, but the last 10 results are displayed on the screen. This is standard European Roulette. There are two versions you can play online. The table is the same, the difference comes with the playing interface. 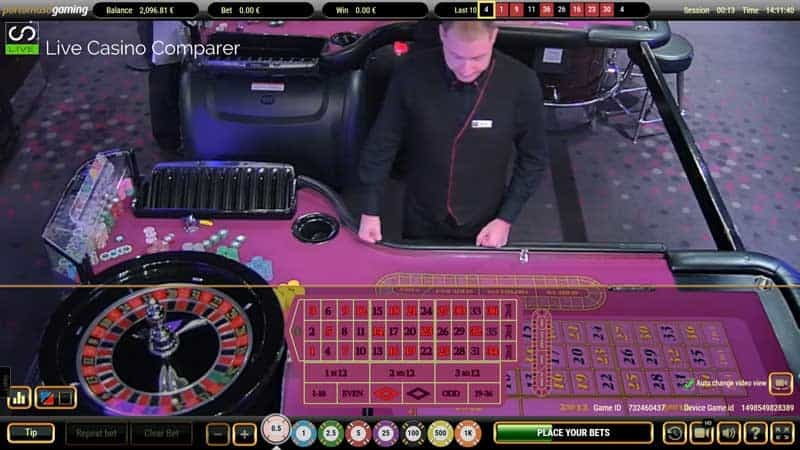 On the Classic Roulette table, the betting options are displayed along the bottom of the screen, while the newer interface has it on the right-hand side of the screen. The La Partage rule is available on the table. You get half you even money stake back if the ball lands in Zero. Spin-statistics covering the last 500 spins can be displayed. Bets can be placed anywhere on the statistics interface, which displays Hot & Cold numbers and dispersion across all the numbers. There is an optional racetrack that can be displayed to place neighbour bets. You can save your favourite bets and recall them anytime you want to use them. You can repeat your last bet and also tip the dealer. 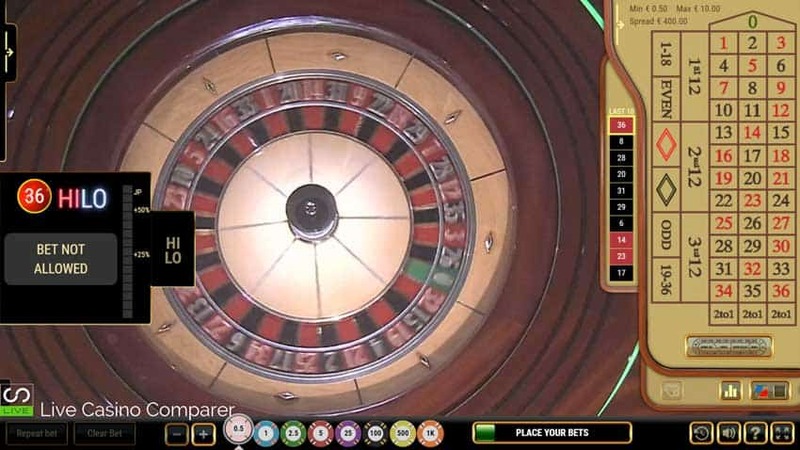 There are multi-camera angles, with a close up of the wheel during the final spins and for the result. There’s a Hi-Lo side bet on the newer playing interface. You can place a bet on whether you think the next number will be higher or lower than the previous result. The odds are calculated based on the previous number. It’s possible to accumulate wins into a Jackpot. Odds for this are displayed within the Hi-Lo information panel. Essentially it’s the same playing interface as you get for the Portomaso Roulette Tables. There is only one table and that has the newer playing interface. The table baize is Cream in colour, which just makes everything look a bit lighter and cleaner. There’s no Hilo side bet on this table. It uses the same playing interface you see on the Portomaso Live Roulette. Comes with the optional Hi-Lo side bet. The wheel is controlled by compressed air which means that no human hands intervene with the operations of the wheel. Spin time is low, so this is really good if you like a quick game. The La Partage rule is operational in this game. 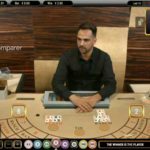 This is live Blackjack with 7 seats streamed from the studio in the Portomaso Casino. There are two tables each referred to as “Lounge Blackjack”. The game is played with an 8 Deck Shoe, to European Rules where the dealer only takes one card at the initial deal. You can split a pair up to a maximum of 4 times. Only one card is allowed to split Aces. Insurance is offered when the dealers up card is an Ace. It pays 2:1. You can Double on any value of cards. Blackjack Side bets of Perfect Pairs, 21+3 and Bet Behind can be played alongside the main hand. Stats on the dealers last 10 hands and also for the dealers’ hands on the second table. 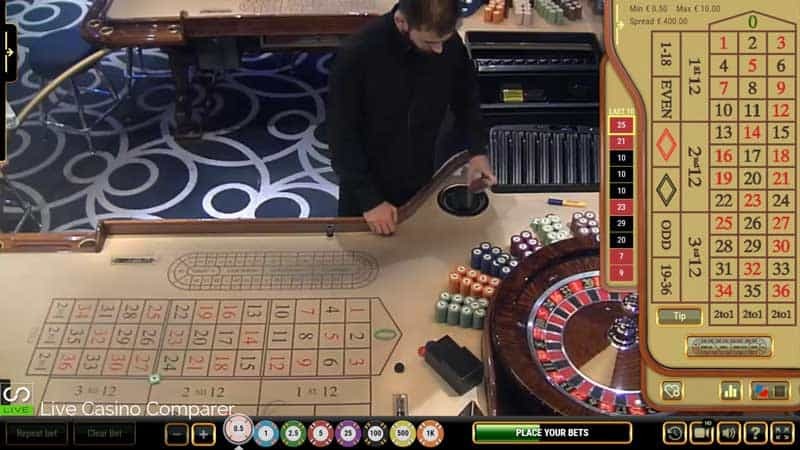 This is European Roulette streamed from the studio at the Portomaso Casino. The table has a two camera setup, with the second camera being used for closeups of the wheel. As with the playing interface on the live streamed roulette, you get a comprehensive set of options. There are multiple ways to bet, either using the betting grid on the table, a Racetrack or anywhere on the statistics. Favourite bets can be saved and reused. There’s a chat facility to allow you to talk with the dealer, which you don’t get on the land based streamed tables. This particular table is for VIP’s. 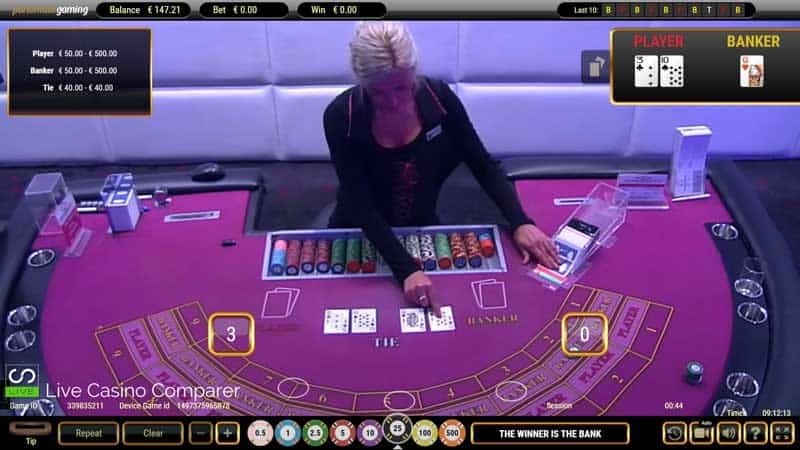 A few images of Portomaso Gaming live casino games on mobile. 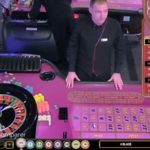 I’ve reviewed quite a few Live Casino Software companies and the Wirex Live Casino Software sits somewhere in the middle. 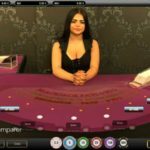 There are more online casinos using the live feed into the Portomaso Casino in Malta than having tables installed in their own studios. The games are not extensive but cover the core elements a lot of casinos are looking for. 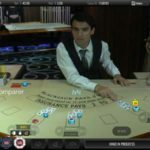 The addition of studio based games is another good thing as they can now offer Blackjack, which traditionally is very difficult to live stream from a land based table. Being able to play on any device and having side bets on Blackjack certainly widens the appeal. 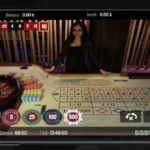 The lack of Roadmaps on Baccarat will limit the take up with Asian players, but if the target market is Europe this might not be so much of a problem.